Barnsdales are delighted to announce that quickly on the back of being appointed to manage the 84,000 sq ft Thorne Road Retail Park in Doncaster, Barnsdales have now been appointed to manage Albion House in Sheffield. 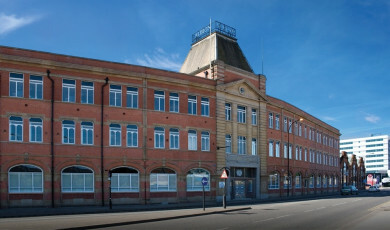 The 41,000 sq ft multi let office building on Saville Street in Sheffield City Centre will be managed by Charles Harrison from the Barnsdales Sheffield office. Charles commented “we have already identified significant savings within the service charge which has delighted our clients and we hope will be appreciated by the tenants”. Charles commented further “we are keen to win the management of more significant properties and we are currently in advanced discussions on well over 100,000 sq ft of other potential management instructions; we hope to announce our next significant instruction soon”. For further information about Barnsdales Property Management call Charles Harrison on 0114 209 4134.